One of the most sensational, yet sensible, drives you can have in an SUV comes in the form of the latest XC90 that Volvo has recently accomplished, and Volvo know where it’s at when designing and building there stylish new cars. Most people won’t care too much about how fast a new car goes, but they will probably be more interested in how the car can get you safely from A-to-B in comfort and style. 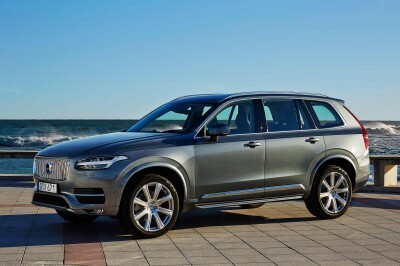 The new Volvo XC90 SUV Petrol versions are plenty fast enough with the new T6 offering 236 kW and 400 NM. The T8 petrol plug-in hybrid is the other form, and with 300 kW and a 0-100 km/h sprint time of just 5.6 seconds, this is a new Volvo SUV that rewrites the rule books. One thing is for sure: the Volvo XC90 Petrol versions provide plenty of muscle for all occasions. What they also provide is an abundance of beautiful style and comfort, premium luxury and safety, and masses of space. Size matters – especially when you need to carry up to seven passengers, tow a trailer or tackle rough terrain. All of these duties the new petrol versions of the Volvo XC90 will perform with ease. Just shy of 5 meters in length, the new XC90 is big; and the 2984 mm wheelbase creates plenty of space inside the new XC90 cabin. Leg room in the front seats is a massive 1038 mm and legroom in the middle row is still a decent 940 mm. Two seats are still available in the third row providing adequate space for an average size adult – though if you were as tall as a basketball goal shooter, then I’d recommend the front or middle row for you. Scandinavian made seats are, in my book, some of the nicest to travel in, and the new generation Volvo XC90 seats are no exception. The seats have a new slim seat design that incorporates a frame that provides superb ergonomics and comfort. On the road, the brand new XC90 Petrol SUVs have a platform with a large hold on the road, and with such a solid feel to the driving experience (aided by adaptive air suspension), towing a trailer or a caravan is a breeze. The vehicles brakes are more than up to the task of stopping everything in a confident manner. I can’t help but wonder if Volvo’s long history in building ‘big rigs’ aids the way in which the XC90 SUV handles towing with such ease. Head off the road and into the rough, and the Volvo XC90 seems to trundle over most things this side of a cliff. Traction from the AWD system is very good in slippery conditions, so things like snow and slippery tracks can be managed confidently. Obviously a mud orientated tyre pattern for off-road will help the big XC90 all the more to play in the sticky stuff, but I’m imagining that most owners of a new Volvo XC90 will be happy just to use it to head up to the ski slopes or exploring the odd track here-and-there where it is completely at home. I saw a Northern Hemisphere video of the new XC90 towing a trailer full of firewood off-road in the snow. It managed the task incredibly easily. Safety equipment inside the new Volvo XC90 SUVs is the best – as you would expect. One of the Volvo safety features will even help you to avoid hitting pedestrians and cyclists – even if you haven’t braked for them! The new Volvo XC90 has an enhanced safety cage made of boron-steel, so it’s super tough and ready for protecting its occupants in the event of a collision. New and very cool, is the XC90 Road Sign Detection feature. This system will detect and alert you to things like stop signs and changes in the speed limit as you travel along. By the way, there has only ever been one fatality in a Volvo XC90 to date. Not a bad track record since its first year of production, eh? Both Volvo XC90 Petrol versions are loaded with wonderful technology, and it’s things like info-entertainment, 19-speaker surround sound, heated seats, a centre dash screen, GPS mapping, suspension settings for (Comfort, Dynamic, Eco, and Off-road), Crisp LED headlights and cleanzone air technology which makes travelling in the big Volvo SUV such a pleasure. 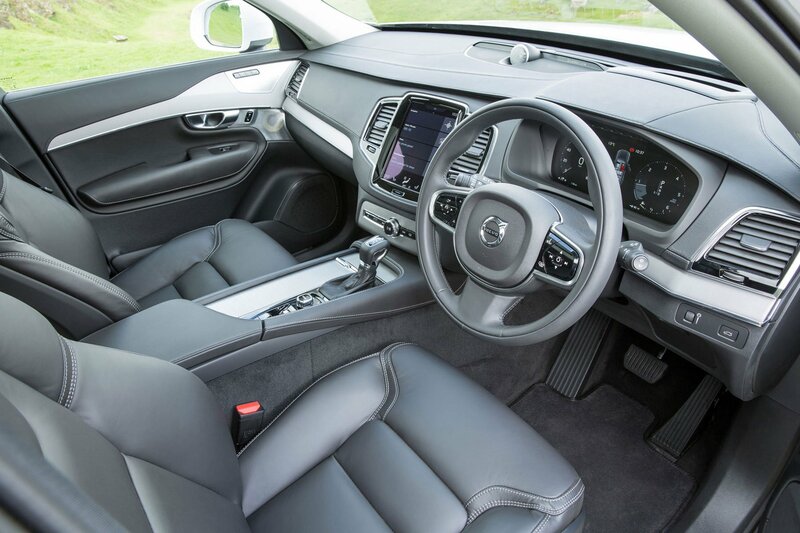 Volvo XC90 interior comfort is superior. Being a big vehicle, the seven-seater XC90 SUV could be an intimidating prospect to park, however Volvo have included Park Assist Pilot as standard on all models. It is so easy to park in tight places. The Volvo XC90 matches and betters equivalent rivals from BMW, Mercedes, Audi and Lexus – depending on your own preferences or prejudices. For me, I’ll be more than happy to rate the new XC90 as best in its class. It is such a complete package, and excels in all facets that a large SUV needs to excel in for its owner. Great pricing, smoothness, safety, comfort and performance makes the all new Volvo XC90 SUV a real winner and a sheer pleasure to drive. For any more information on the new Volvo XC90 SUV, or for that matter any other new car, contact one of our friendly consultants on 1300 303 181. If you’d like some fleet discount pricing (yes even for private buyers! ), we can submit vehicle quote requests out to our national network of Volvo dealers and come back with pricing within 24 hours. Private Fleet – car buying made easy!